The outdoors runs deep within the roots of this Carolina outdoor enthusiast. As a young boy, Jeff Burleson trampled the woods after a deer or duck and paddled the waters for a limit of fish alongside his father and two older brothers in Robeson County. 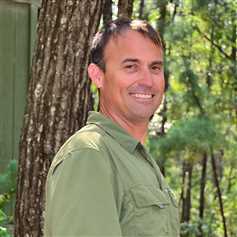 Burleson's love for nature and the outdoors fueled his outdoor hobbies and directed his studies towards a Bachelor's of Science degree in Fisheries and Wildlife Sciences in 1996 from N.C. State University. Since college, Burleson has held several positions with a variety of government and private entities practicing land sales, forestry, wetland consulting, wildlife management, endangered species consulting, and other natural resources duties. Burleson is a professional realtor in both North and South Carolina. Burleson’s has an extensive background in forestry, wetlands, and wildlife consulting on tracts all over North and South Carolina. He has been a registered professional forester in North and South Carolina throughout his career.